In July 1939, the RLM (Reichsluftfahrtministerium, or Germany Air Ministry) issued specifications for a new medium bomber capable of high-speeds. Originally known as Kampfflugzeug B (Warplane B), the aircraft proposal was eventually renamed Bomber B. The Bomber B specification requested an aircraft that could carry a 2,000 kg (4,410 lb) bomb load 3,600 km (2,237 mi) and have a top speed of 600 km/h (373 mph). To power the Bomber B aircraft, the RLM requested engine designs from BMW, Junkers, and Daimler-Benz. The respective companies responded with the BMW 802, the Junkers Jumo 222, and the Daimler-Benz DB 604. The Daimler-Benz DB 604 was designed in 1939 to power the next generation of German fast bombers under the Bomber B program. However, the engine was not selected for production. The DB 604 was an all-new, liquid-cooled, 24-cylinder engine. Four banks of six cylinders were arranged in an “X” configuration with each cylinder bank spaced at 90 degrees. The X-24 engine consisted of a two-piece aluminum alloy crankcase split horizontally at its center. The engine’s single crankshaft had six crankpins that were spaced at 0 degrees, 120 degrees, 240 degrees, 240 degrees, 120 degrees, and 0 degrees. This arrangement resulted in cylinders firing evenly at every 30 degrees of crankshaft rotation. Attached to each crankpin was a master connecting rod that accommodated three articulated connecting rods. A gear reduction at the front of the engine turned the propeller at .334 crankshaft speed. A supercharger mounted to the rear of the engine had an upper and a lower outlet. Each outlet was connected to two intake manifolds that ran along the inner Vee side of the cylinder banks. The DB 604’s fuel system was located in the upper and lower Vees of the engine and consisted of fuel injection pumps and individual fuel injectors for each cylinder. Each cylinder had two intake and two exhaust valves, all of which were actuated by a single overhead camshaft. The camshaft for each cylinder bank was driven via a vertical shaft from the rear of the engine. The exhaust ports were positioned in the left and right Vees, as were the two spark plugs per cylinder. The spark plugs were fired by two magnetos positioned in the left and right Vees and mounted to the propeller gear reduction housing. The DB 604 had a 5.31 in (135 mm) bore and stroke and displaced 2,830 cu in (46.4 L). The engine had a 7.0 to 1 compression ratio and weighed 2,381 lb (1,080 kg). The DB 604 prototype was first run in late 1939. 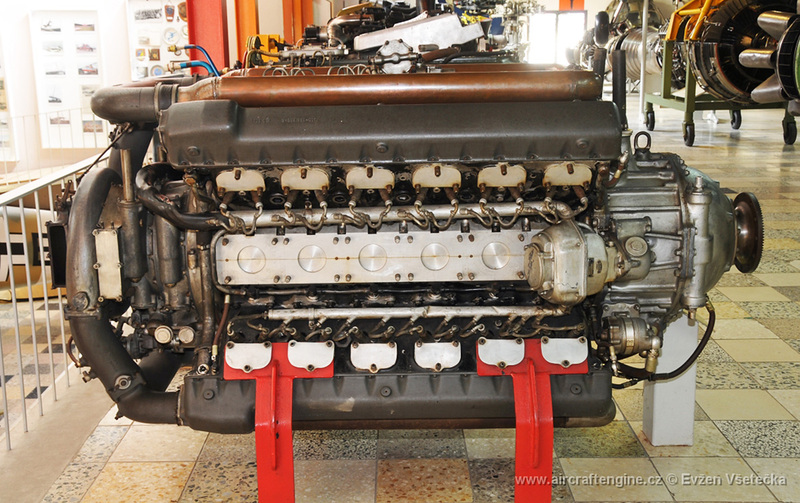 The first engine produced 2,313 hp (1,725 kW) at 3,200 rpm. This engine may have had a single-speed supercharger. The DB 604 A and DB 604 B engines were produced quickly after the first prototype. These engines had a two-stage supercharger that provided 6.17 psi (.43 bar) of boost. The difference between A and B versions was the rotation of the engine’s crankshaft. The DB 604 A/B had a maximum output at 3,200 rpm of 2,660 hp (1,984 kW) at sea level and 2,410 hp (1,797 kW) at 20,600 ft (6,279 m). The engine’s maximum continuous output was 2,270 hp (1,693 kW) at sea level and 2,120 hp (1,581 kW) at 21,000 ft (6,401 m), both figures at 3,000 rpm. Maximum cruise power was at 2,800 rpm, with the engine producing 1,830 hp (1,365 kW) at sea level and 1,860 hp (1,387 kW) at 20,000 ft (6,096 m). The DB 604 was flight tested in a Junkers Ju 52 trimotor transport, but it is not clear which version of the engine was tested. At least five DB 604 engines were made. The Bomber B proposals that moved forward as prototypes were the Dornier Do 317, Focke-Wulf Fw 191, and Junkers Ju 288. Despite the DB 604 showing some promise, the RLM chose the Jumo 222, and work on the DB 604 was stopped in September 1942. No records have been found that detail the DB 604’s reliability, and many other X-24 aircraft engine designs were prone to failure. 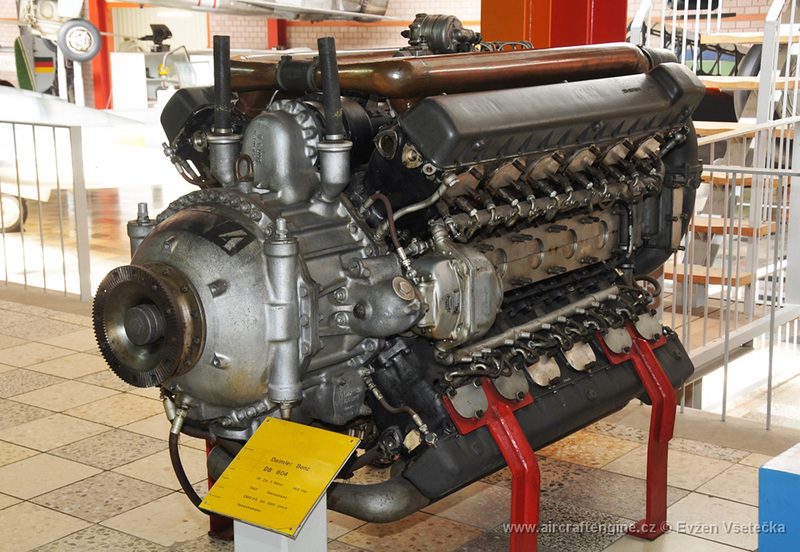 The sole surviving Daimler-Benz DB 604 engine is on display at the Flugausstellung L.+ P. Junior museum in Hermeskeil, Germany. Ultimately, the Ju 288 was selected as the winner of the Bomber B program. Delays with the 2,500 hp (1,964 kW) Jumo 222 led to it being substituted with the 2,700 hp (2,013 kW) Daimler-Benz DB 606, and that engine was later replaced by the 2,950 hp (2,200 kW) DB 610. 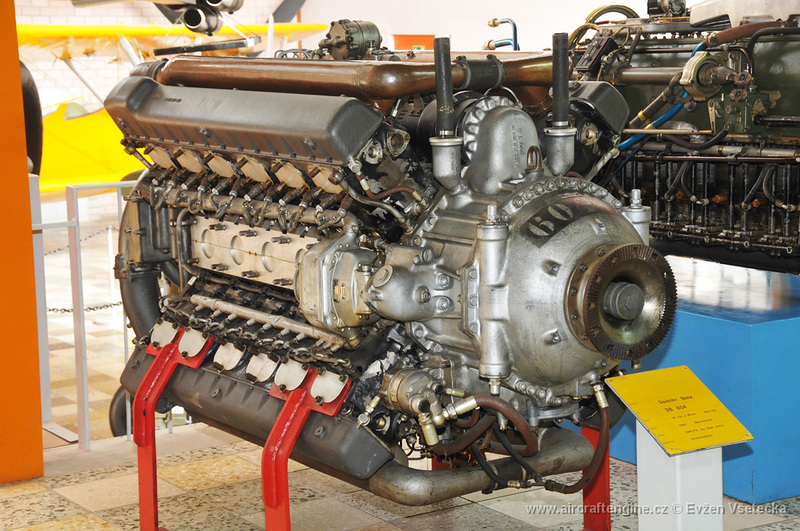 The DB 606 consisted of two DB 601 inverted V-12 engines coupled side-by-side, while the DB 610 was the same arrangement but with two DB 605 engines. The Ju 288 aircraft and the Jumo 222 engine never entered large-scale production. An enlarged version of the DB 604 was contemplated, with the engine’s bore increased .2 in (5 mm) to 5.51 in (140 mm). This gave the engine a displacement of 3,044 cu in (49.9 L). The larger 90-degree, X-24 engine was very similar to the DB 604 but incorporated a three-speed, three-stage supercharger. The engine was forecasted to produce 3,450 hp (2,575 kW) at 36,089 ft (11,000 m). Development of the larger engine did not progress beyond the initial design phase. This entry was posted in Aircraft Engines, World War II on 20 July 2018 by William Pearce. Great article. It seems like Daimler tried about everything back then. I suspect that if anyone got an X-24 to work reliably it would of been D-B. Overall I am of the opinion that this would of been a better choice than the Jumo 222. Very interesting article. I would love to see articles on the Jumo 222 & the BMW 802, if at all possible. I’d be interested in finding out what the 222s troubles were all about. Surprising about the 802, since its progenitor, the 801, was a very good engine. So no X engines made it to production and only Napier H engines? Is this likely to be caused by lack of development time and focus? With the possible exception of the Rolls-Royce Vulture, I cannot think of any X aircraft engines that made it into production. The Rolls-Royce Vulture comes close, as around 500 were built, but I don’t think full-scale production was started. 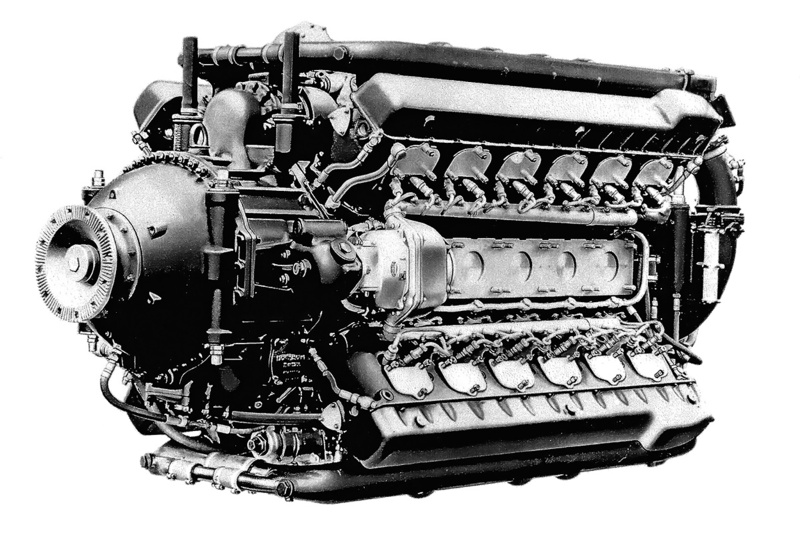 For H engines, it would be the Napier Sabre. I don’t think many Rapiers or Daggers were built, and I know only a small number of Rolls-Royce Eagles (H-24) were completed. I think there were numerous reasons why many X and H engines never entered production. Some were built by inexperienced manufactures. Some were dropped in favor of more conventional, and easier to build, projects. Some ran into issues during development that delayed their production to such an extent that they were no longer needed.